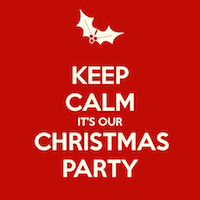 The time has come to think about the holiday season, and for those of you who do not have a Christmas Party at your place of work (or even if you do) we have the perfect party just for you! We invite you to join us, celebrate 15 years of the SBCN and look forward to what we can accomplish in 2019! You can look forward to a wonderful evening in the company of friends, colleagues and perhaps even new business connections. As always we'll feature our SBCN Quiz and have a few surprises in store! Dessert: Apple Pie - available for an additional $5 + taxes & gratuities; pay at the event. You will need a ticket to attend this event. The price of your ticket includes our festive meal including applicable taxes and gratuities. The ticket price does not include drinks or dessert which you are responsible for. Please drink responsibly. $34.50 Regular/Corporate SBCN Members, $44.50 Online Members and Guests. Price includes tax and gratuities.